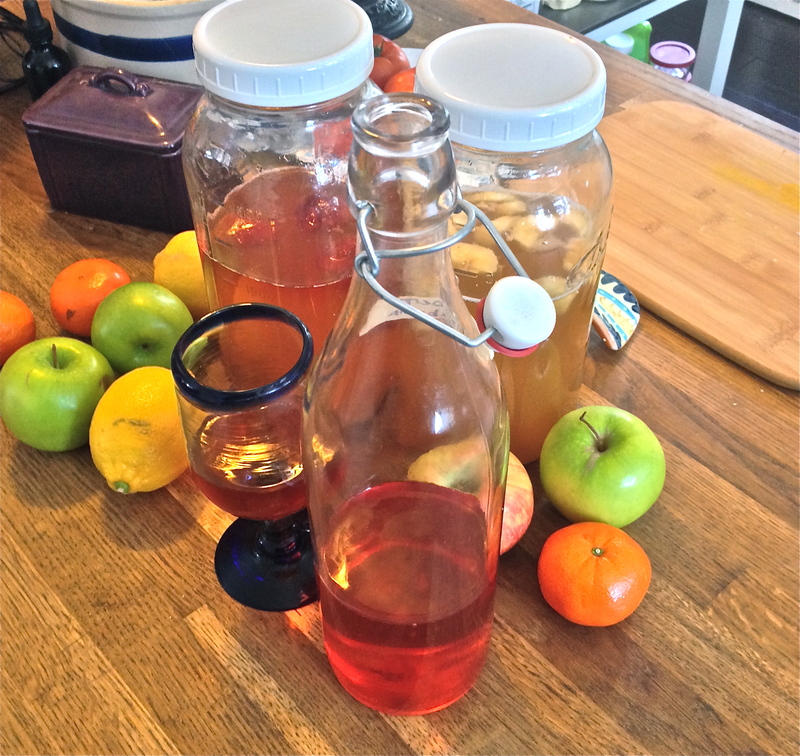 Pour the fermented kombucha (finished first brew) into jars,always leave a few cups left in your continual brewing. Add any juice, herbs, or fruit you may want to use as flavoring, leaving about an inch of head room in each Jar. I add 1 tablespoons of organic sugar to promote more fizz like soda. Place lid and let sit in room temperature for 24hrs. Once 2nd brewing is over you can strain and add to bottles and refrigerate. 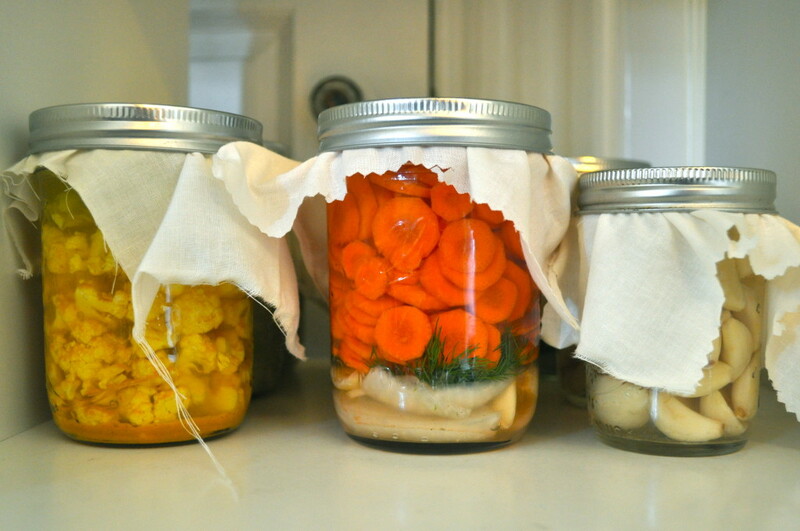 Refrigerate to stop fermentation and carbonation. 1.Remake the Tea Base to feed the mother: Boil water and add tea bags. Remove from heat, remove tea bags, and stir in the sugar. Then allow to reach room temperature. Once cooled poor into you continuous brewer to feed the mother. 2. You can now start doing the second brewing every other day. Repeat steps 1 and 2 everytime you harvest your kombucha. 3. If you need a break, you can let the mother sit in the reserved tea for a few days and for an elongated rest move the jar to the refrigerator to make her hibernate. 2014 March Madness Giveaway! Every Friday for the month of March we will be giving away a little something! 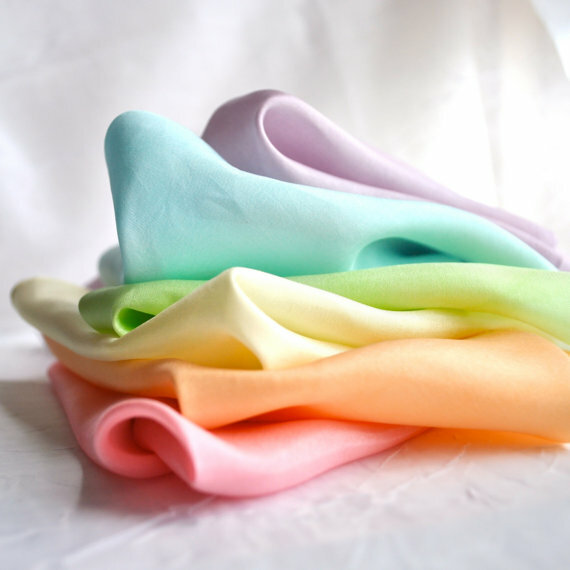 This weeks Giveaway: A Pastel Mini Playsilk Set ( 6 – 11″ silks) or 2 (22″) Pastel Playsilks from The Enchanted Cupboard. Rules:Giveaways are done by The Enchanted Cupboard and are not connected with Facebook. Giveaways are open to USA and International followers. Shipping is provided up to $5 anything over this cost must be covered by the winner. Any tax, duties, or fees must also be paid for by the winner. The Enchanted Cupboard will contact winner through Facebook and give 1 week for winner to reply before picking a new winner. Last weeks winner: Picked by random.org, #29, Marleena Pecoraro: How adorable! Perfect for my little one. To enter this weeks giveaway follow this link to our Facebook Page, The Enchanted Cupboard. Kombucha is a fermented drink of sweetened black tea. It is produced by fermenting the tea using a symbiotic colony of bacteria and yeast, or “SCOBY”. It’s very close cousins to the mother used to make vinegar. 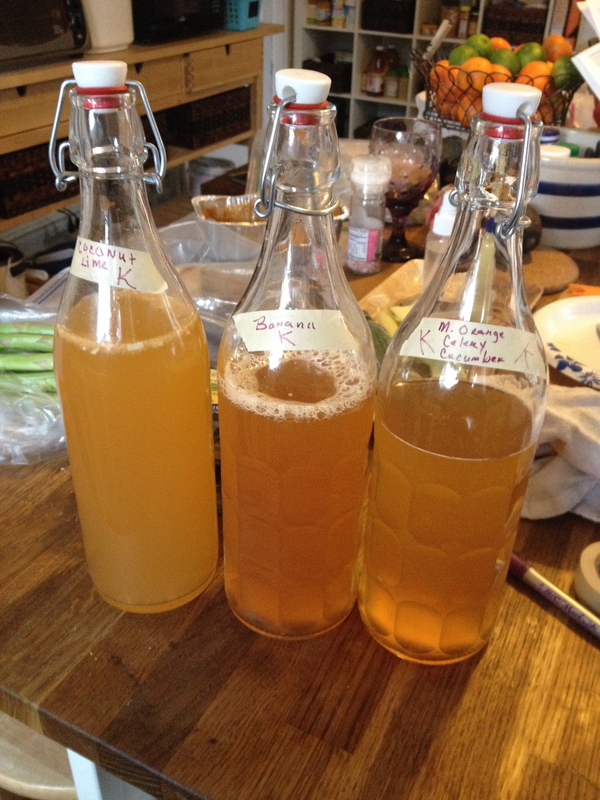 The scoby bacteria and yeast eat most of the sugar in the tea, the finished product is a refreshingly fizzy, slightly sour fermented beverage that is relatively low in calories. Why drink Kombucha, my reasons? Kombucha contains glucosamines, a strong preventive and treatment all forms of arthritis. 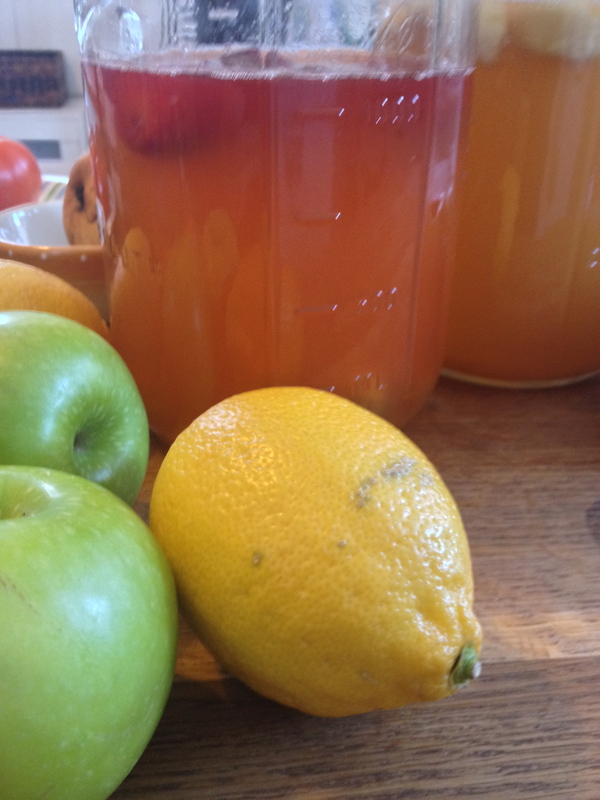 In the last few years, I have started into the mysterious and wonderful world of fermentation. It has been an amazing journey of experimenting, and not everything has turned out right. It is a process that has a large learning curve. Fermented foods are plant-based foods that have been through a process of lacto-fermentation in which natural bacteria feed on the sugar and starch in the food creating lactic acid. The fermentation process preserves the food, creates beneficial enzymes, b-vitamins, Omega-3 fatty acids, and probiotics. The fermentation of foods has been shown to preserve nutrients and break the food down to a more digestible form. The probiotics created during the fermentation process all help to improve digestion. Cultures around the world have been eating fermented foods for centuries, from sauerkraut in Germany to kimchi in Korea and everywhere in between. 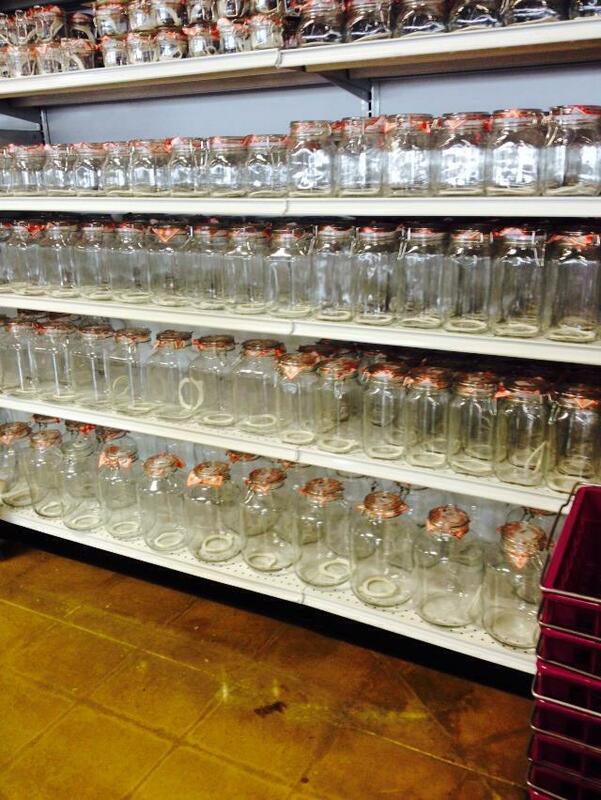 Today I got to go to one of my favorite outlet stores, Reading Glass Outlet in Lancaster, Pa. It was a wonderful way to spend the afternoon with my mother while stocking up on all the bottles and supplies I will need for all my fermenting dreams to come true. Here is a list of some of my future experiments and recipes I will be trying this year! I look forward to sharing my journey with you over the coming weeks. Many years ago there was a little boy who’s mother died after the birth of a new baby. The father decided he no longer wanted his children, and although there were family members to take the sister, no one wanted the little boy named Tom. My mother felt that our family needed to care for this little boy. At this time there was 4 children in the family, I was not even born yet. My father told my mother that they already had enough kids ( little did he know at this point the plan God had for him (6 birth children and over 200 foster kids). As time went on, the State decided that Tom would benefit more from a life at Hershey School for boys; he did not want to go. Sadly, because he was not legally our family, my parents had no say in the matter. Tom did get to spend his holidays and breaks with us. When Tom was in the 12th grade he was legally of the age to decide where he would live. Leaving Hershey meant giving up all the things they could give him like a college education, but for Tom it was no choice. He wanted to come home. I could go on writing a book about all the things that happened in our life having Tom be part of it, but the important word here is HOME. For Tom and for us being together was home. Foster siblings were always part of my life, and I had no thoughts of them being separate or different. Some children were very broken and because of that were a challenge, but all brought a new layer of love to our family. Tom has now passed on from this life way to soon. 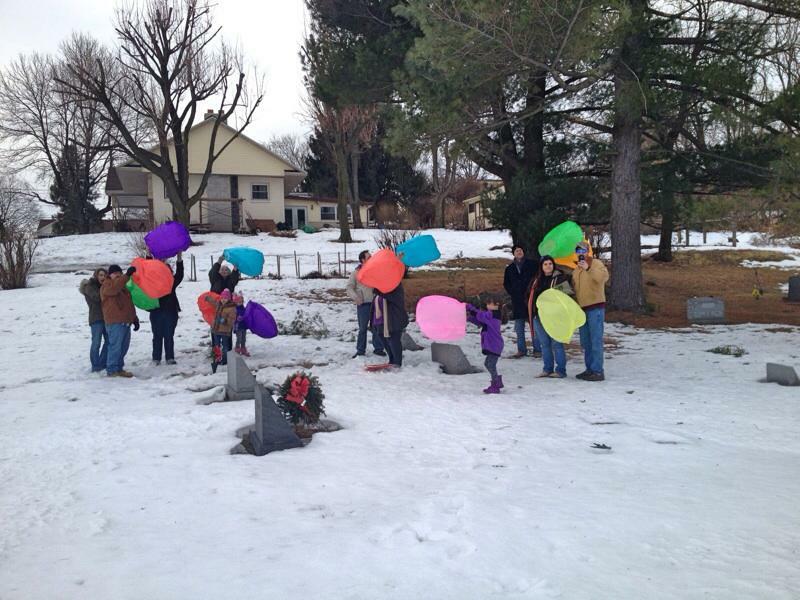 One thing will always be true, he will always be remembered as a member of our family, he was our brother. His memory will live on through us and passed on to our children. We loved him and will miss him. For all the misfortune in his life and for the sad loss he had that brought him to our family, I am grateful for them because they let me be part of his life. Today I got to say goodbye, I got to say I love you, my brother! For anyone who is thinking about being foster parents, I would like to say my life was made better by the wonderful siblings that came into my life by chance. Some came to stay like Tom, and some were there for such a short time, but all made me a better person. If you open up your hearts and home, I promise you that you will get more from it then you will ever give to them. 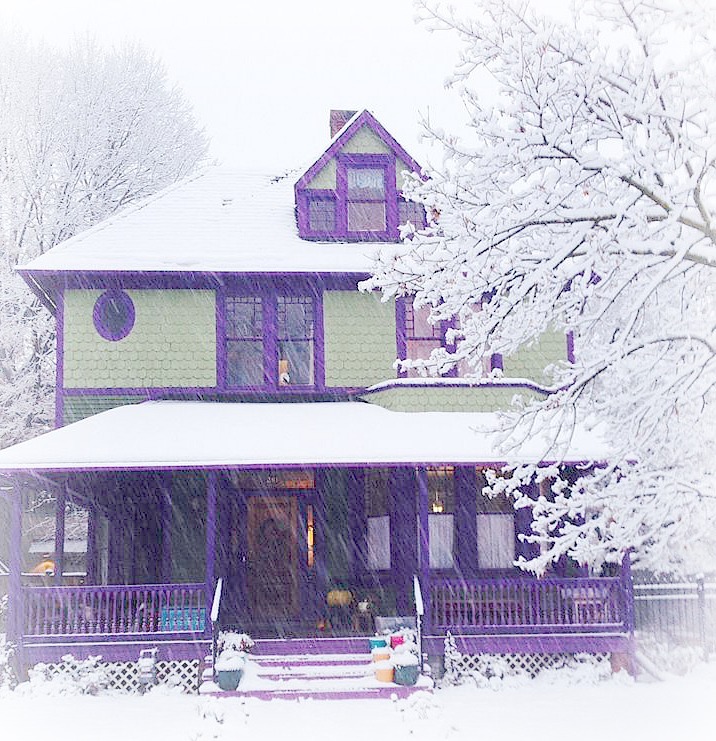 Welcome to our new blog, My Enchanted Life. I have always seen the world through fairytale eyes and that is how I live my day. This blog will be a journal of our family, my work, and my passion. I hope you enjoy it and feel a part of it!